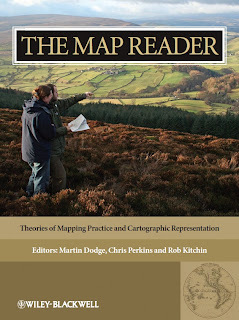 We've finally finished up all the chapters for The Map Reader and I'm about to send them into our editor at Wiley. 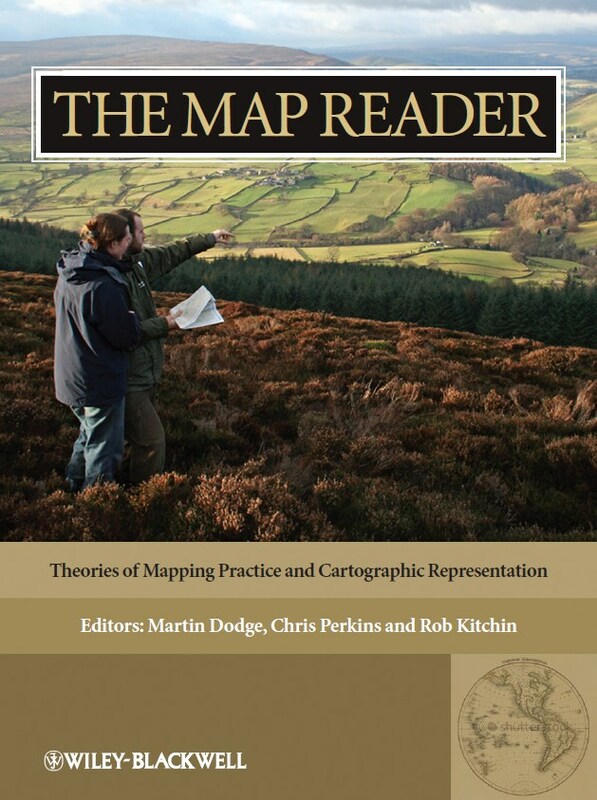 This new edited book has grown into quite a 'big beast' - it has 54 excerpts of significant academic writing about the nature of mapping, along with five introductory chapters we have authored. The book is divided into five broadly defined themes: (1) cartographic conceptualisations, (2) technologies, (3) aesthetics and design, (4) cognition and culture, (5) politics and power. Its taken up lots of my time over four months, despite three of us editing material. Now I have to finish off collecting all the copyright permissions and then push the book through production. I would guess its going to take at least six months until it hits the shops. The best of the draft cover designs from Wiley is shown above - its not perfect and we've asked for amendments to fonts and colours make it feel more contemporary. But I do like the central image that I suggested they use. The summer of research is rapidly coming to a close with the looming start of semester and a return to undergraduate teaching duties. It seems I spent most of the summer on editing other peoples material for three books rather than writing anything new myself. 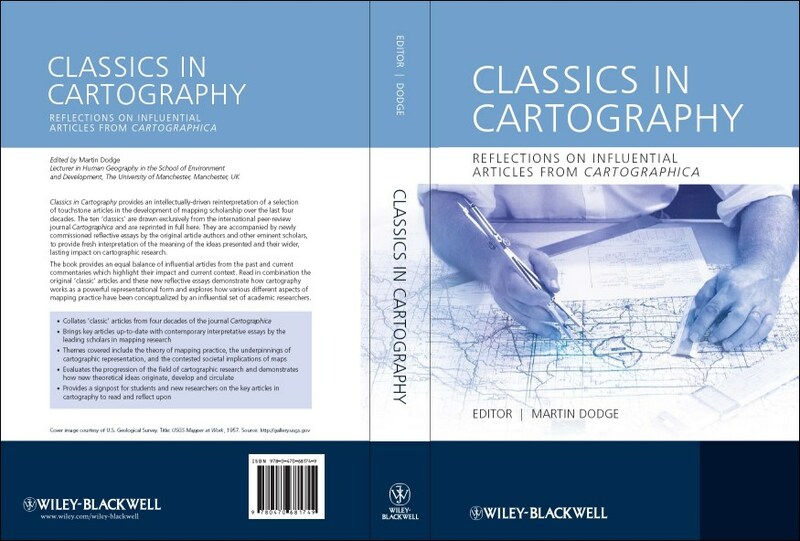 None of the books is quite finished, despite a lot of time and energy expended - but 'Classics in Cartography' is the closest to completion. I've just checked over the book's cover one last time (shown below). The book is now listed on Wiley's website and can be pre-ordered from Amazon. All being well it will be printed and ship by December. Now I just need to get The Map Reader manuscript finished up and submitted to Wiley for production. This is a reader style book, an anthology of 54 key pieces about cartography, along with new editorial essays. Its co-edited with Chris Perkins and Rob Kitchin. Its going to be a pretty big book!